I’m on vacation in a rural part of the country for Christmas. I’m able to use the internet through tethering on my phone, but it’s pretty slow. I’m also not able to use the phone and the internet at the same time. Therefore, I decided to work on a project that I could do mostly offline, would help me learn how to work with cryptocurrencies, and generally be a positive help to the community at large. PHP to interact with the dogecoin daemon (This is done, I think, by making CURL requests to the Dogecoin daemon running on the same localhost server but on a different port. I think there’s a library for this but I could be wrong). First things first, I’ve decided to google to see if there’s anything on github, and in fact there is a faucet written by a polish girl (https://github.com/Emkacf/dogecoins-faucet/). I’m going to review this code and, if it seems correct, use it. I’m on CentOS, so I’m using YUM instead. Looking for some of these equivalents. and move into the folder to see what we have. There’s a src directory with a makefile.unix. I attempt to make this file using make -f makefile.unix USE_UPNP=1 USE_IPV6=1 USE_QRCODE=1 and get a ton of errors. Looks like I’m going back to installing dependencies. The “Development Tools” I think is definitely going to be important, although I thought I had covered it with the yum install previously. As far as screen and rsync, those aren’t going to be important for the Dogecoin daemon, and I’m pretty sure I already have libcurl-devel, and since I’m just downloading the zip from git, I shouldn’t need this second line at all. Fussing about some more, I’ve decided to delete the .zip and just use git to get the package from git. Now that all the dependencies seem like they might reasonably have been met, I’m going back to try to make dogecoin again. And it is here that I learn that /tmp is mounted as noexec and I can’t run ./ commands. And also I learn that the bootstrap and installation procedure is different for 1.55 than it was for the ben-tech article. This should give me boost in /usr/local/boost and maybe I can run it again. Still getting boost errors. How about installing from RPM? There’s no RPM for CentOS with a later version. I’ve been working on following the bitcoind instructions for CentOS. Ok, I’ve got dogecoind compiling, but its unable to load some shared libraries. I think that this should theoretically be pretty close. At least its compiling. The biggest problem has been with boost and getting the correct version of boost installed, since CentOS doesn’t seem to work. So it turns out that CentOS and Fedora don’t come with EC in openssl. So I have to rebuild openssl. This does not sound like fun. 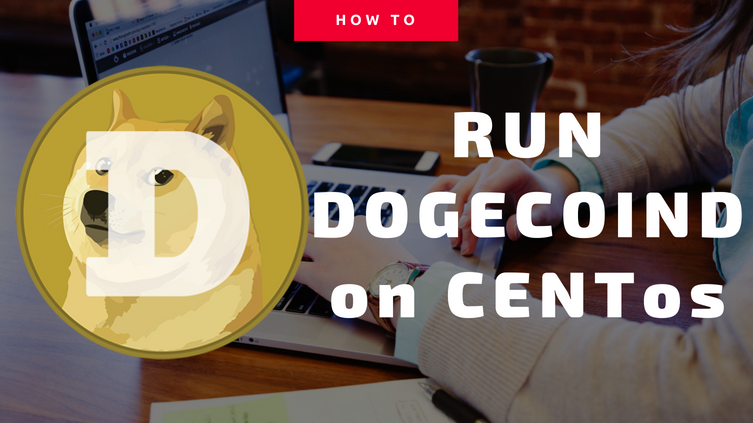 Ok, so I’ve taken the method for installing bitcoind on CentOS that is found here: (https://bitcointalk.org/index.php?topic=65818) and modified the files to work for dogecoind.